your whole life is calling. Hui Ho’olana lodge, cabins & pool sit on a ridge at 1100 feet offering panoramic views of Molokai, Lanai, Oahu, the Pacific Ocean, and the most stars you’ve probably ever seen in your life. 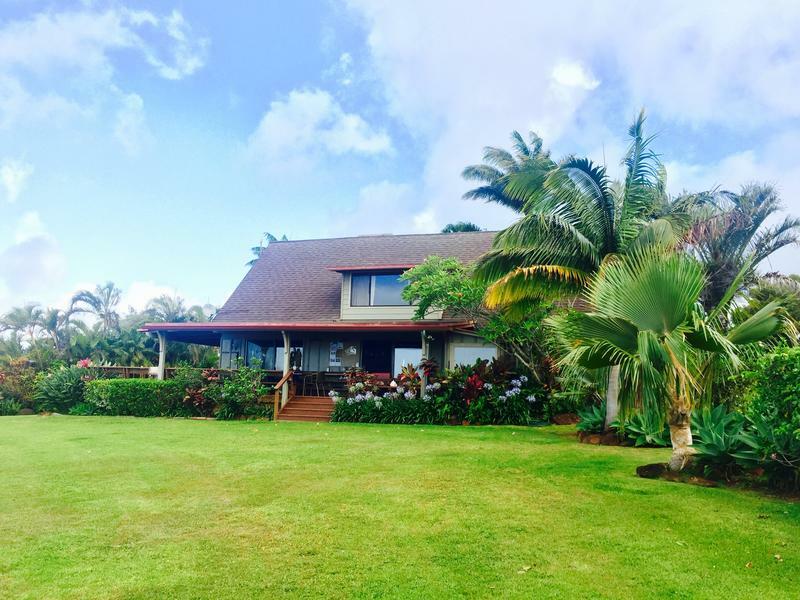 You will be surrounded by a beautifully secluded, living sanctuary of reforested lands that uses native Hawaiian plants over 70 acres to create spaces cherished by wildlife & people alike. Aloha. 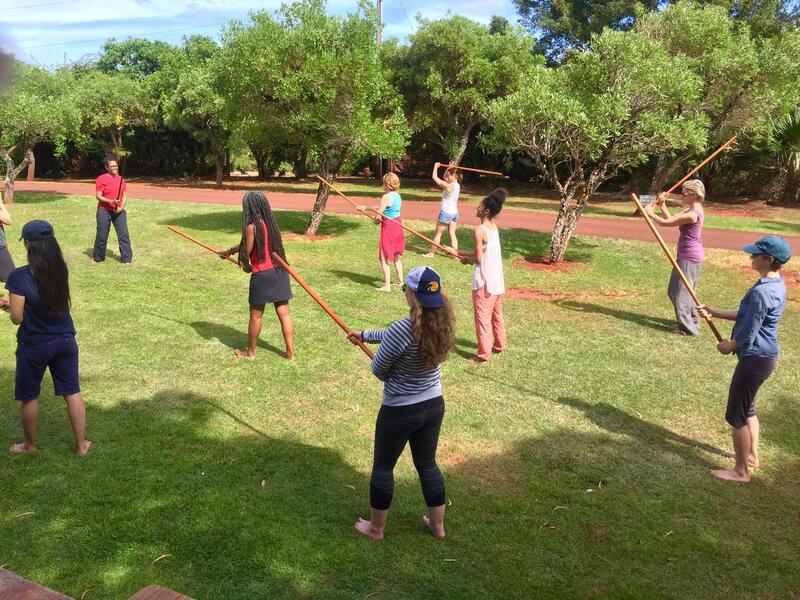 Your 7 day-retreat will place you on Molokai, "the heart chakra of Hawai’i." In this islands, "when we say, Aloha, we are saying, "come share our space, come share our breath." The spirit of the island slows you down, so you can be open to the wisdom of the inner & outer life, to unleash & unlock your greatest potential. Be in your body. 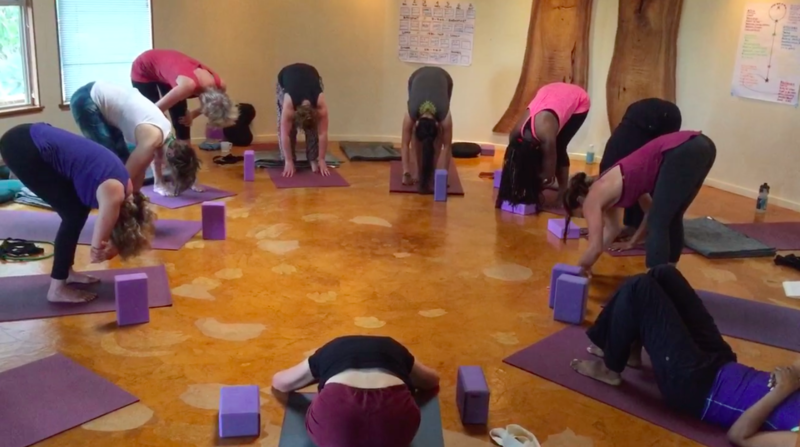 Centering in Presence, yoga, meditation, breath practice, and tai chi-style movement are embodied awareness practices woven throughout the time to awaken your senses so that you can feel yourself fully and are directed back to your own truth. 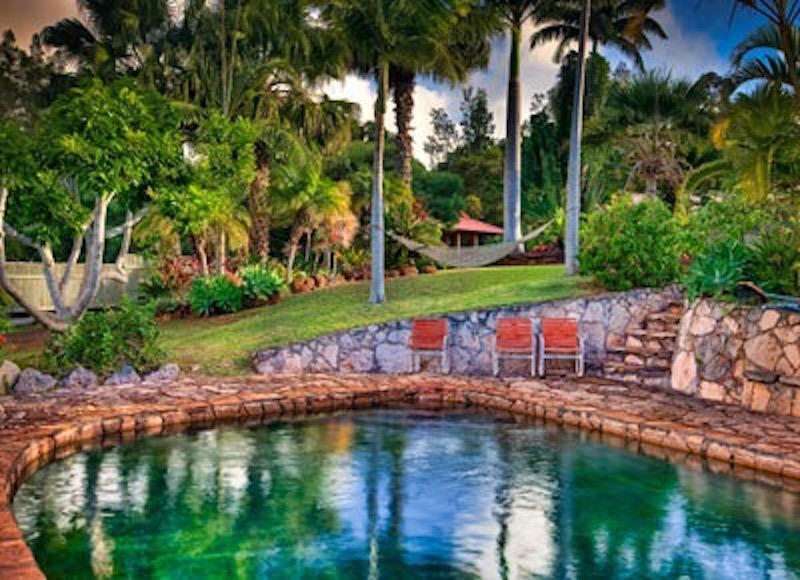 Ample time is provided to enjoy the farm-to-table food, go for quiet walking, easy hiking, take swim in the pool, book a private sound healing session or get a massage , as well as a full integration day to explore the island. Aligning body, mind & vital life force. This retreat fulfills a dream to design a gathering in which "the conditions are set & the practices are met." It all begins with healing. Medicine Woman gina Breedlove initiates our time together with exactly that. A group sound healing session begins our work together. 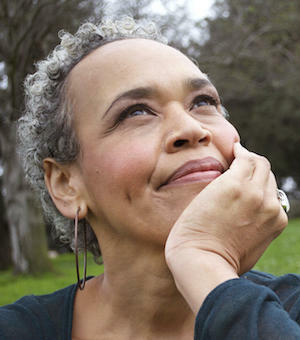 Her offering of Sound Medicine is rooted in Love and guided by Grace. 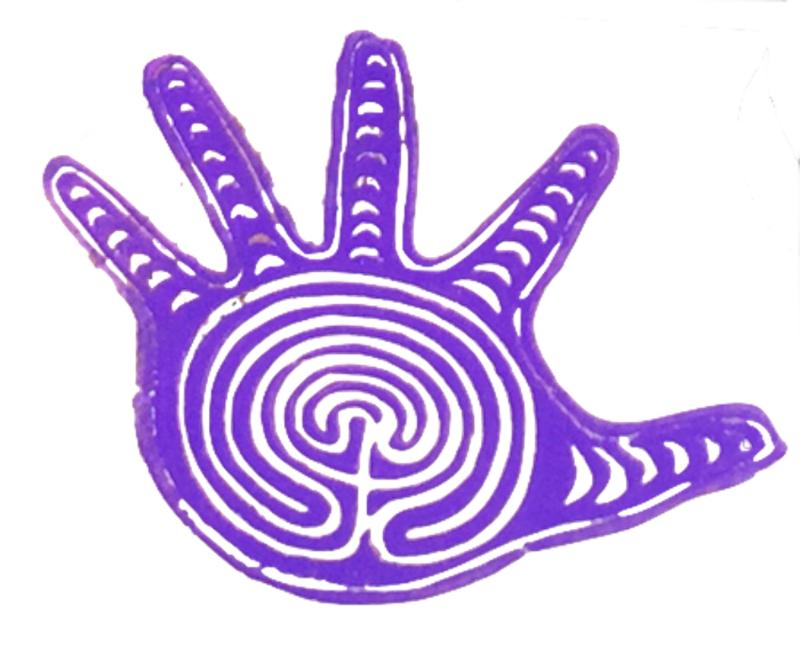 This is potent, powerful energy work particular to each individual, and one can expect instruction for self care, releasing destructive patterns, and an invitation to begin (or deepen) a daily active practice of living with an open heart. gina will teach you how to use the sound of your voice to bring your focus to the present moment, where life is happening. How do you get the mind to override what the body won't let go of? Potent embodiment practices help you bridge training of the heart-mind with action of the body-mind. Go way beyond mind-only exercises that leave habit-patterns of ancestral, generational and day-to-day stress and anxiety that are stored in the body intact. Learn an approach to a world-renowned martial art that Master Trainer angel Kyodo williams re-imagined specifically to repair the disconnect between wielding booth power + love that causes you to deny your genius and fritter away your joy. You'll take away an insightful assessment and capacity-building practice that will drop you into direct relationship with how you use your power in the world. Ample time for reflection, journaling, and expressing yourself through various modalities of art & communication happens individually and collectively. A day to explore the island or simply enjoy time to yourself in one the hammocks at the Hui is part of your process of integrating the deep work, with the sacred land and your spirit. 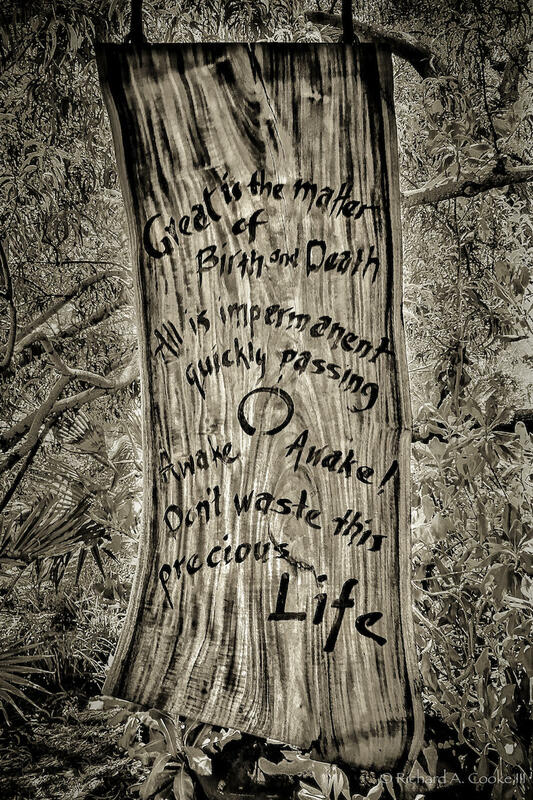 There's no hurry: you're on Molokai time. We appreciate your interest in doing the work to unite power & love. You've missed the first phase of application acceptance. But if you truly believe you should be at this retreat, please review the page completely, including the investment section, and join the waiting list. We are currently reviewing applications. People sometimes drop out or are not a good fit for the carefully curated cohort. Maybe you are. Click the buttons on the pricing section to be added to the waitlist. Openings are by application, first come, first serve. We need to make shifts at the cellular level. Deeper healing, greater equanimity & increased capacity, all begin with cultivating a liberated life. That isn't some kind of get something-for-nothing bypass reality state of denial. That's when you put the work in with guidance, support, community and a loving push into the places that by yourself, you've not yet been able to go, but you know it is time. How do you know THIS is the place for you? 'Ohana is a Hawaiian word translated as intentional family. It reaches beyond the boundaries of blood and touches deeply into the heart of what it means to see and be seen. Come queer, black, timid, fat, uncertain, male, Type A, exhausted, a fixer, on your second life, white, or mixed in all the ways. But come vulnerable and curious and we're ready for you. It goes without saying that spending an undistracted week bringing your vulnerability to the table, held by the power of ancient lands, the spirit of intention, and witnessed by new people that are also walking the path of being and becoming, creates more than ordinary friends. You walk together. You become family. "I am integrating and shifting through layers to recalibrating my body to the frequency generated at the be-ing transformation retreat! Wow, my re-entry has been...less of a “re-entry” more of a “launching”!" "I am a cynic and, a doubter by nature. I found my resistance skillfully guided to an integrated resting place so that I could set down or burn through the things that stand in the way of who & how I want to be in the world...and find my way past years, and decades of old challenges. " "The part of me that did not want to live is now healed, and present - no more plexiglass shield separating me from the world. What a feeling." Our wisdom teachers & highly skilled trainer-facilitators will work with you to heal at the cellular level, and to transform your connection to power and love with yourself and others. 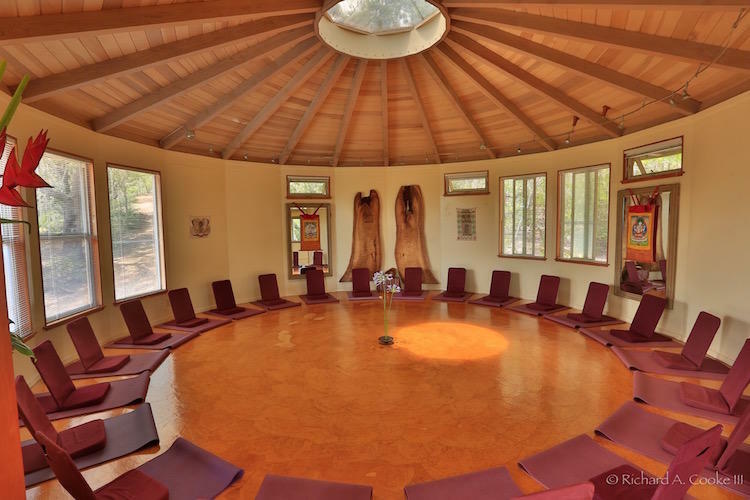 Each possesses from 15-20+ years of honing their unique superpower that will be shared with you in an intimate group size with an amazing 5:1 participant-to-facilitator ratio PLUS an on-site healer guiding your personal journey into be.ing. Rev. 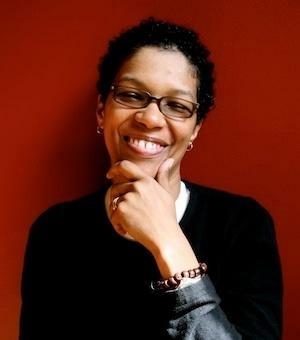 angel Kyodo williams is the lead teacher and a master trainer that uses a rare combination of embodied intuition and insightful wisdom to point people toward their way home -- to liberation. She is also an acclaimed author, activist, founder of the Center for Transformative Change and leader of the newDharma Community and Collective. Her voice and vision are made for these times. Kerri is a faculty teacher & the founder of CTZNWELL, a movement to mobilize the wellbeing community into a powerful force for change. 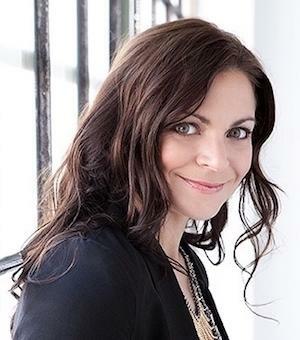 Kerri is recognized for her work to bridge personal practice with social change and politics. She’s been instrumental in translating the tools of wellbeing into practical application and social action in the public sector, working in collaboration with community organizers, spiritual leaders and policy makers. Elaine is your logistical point person & a guest teacher. When she’s not planning be.ing retreats, her passion is helping people end war in their body, even heal chronic back pain, by creating conditions for harmony, love & happiness. 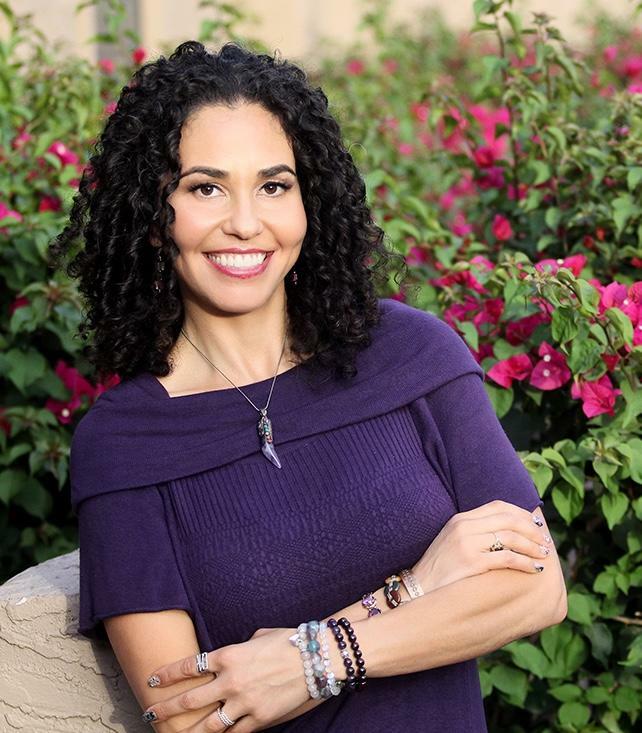 Elaine is a licensed spiritual practitioner, holistic exercise, nutrition & lifestyle coach, and founder of the VIBE method, a simple & proven road map to create physical healing & transformation. 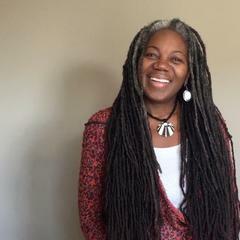 Medicine Woman gina Breedlove, an esteemed guest teacher for this year's retreat is a Sound Healer, Singer, and Songwriter, from Brooklyn, NY. She tours the world with her music she calls folkSoul, and holds Sound Healing circles in every city she visits. 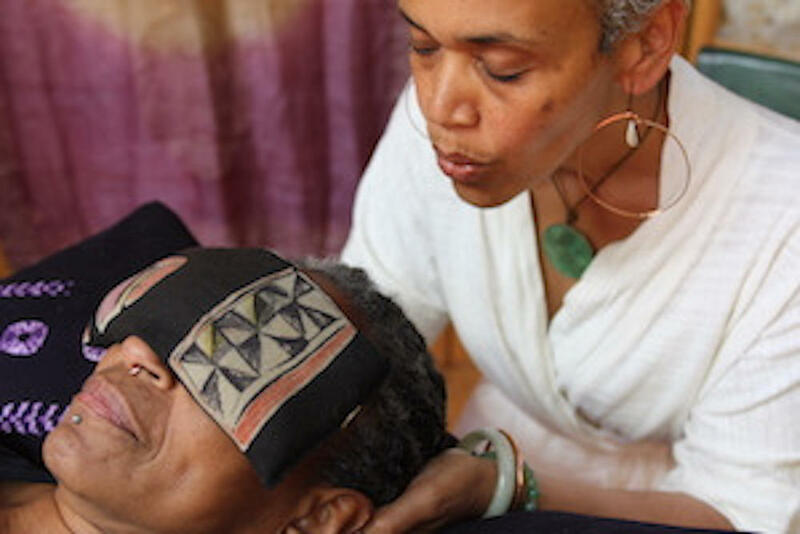 gina Breedlove is a way-shower, a Healer, a Doula for the Soul's purpose. "Her Voice is Soul revelry," and her Sound Medicine is the perfect antidote for what ails us. “I have been attending and facilitating workshops and retreats for decades and be.ing transformation is one of the most holistic, powerful, integrative & brilliant retreats I have ever participated in." We are pleased to offer this year's retreat with a sliding scale rate which includes everything you need other than travel to the island to set the conditions for transformation towards your whole life. Even the application process has been designed to be illuminating. A $500 deposit secures your place and YES, payment plans are available. "Without inner change there can be no outer change. Without collective change, no change matters." We take the process of reviewing applications seriously. It's revealing and rigorous. For waitlist, we can only consider highly motivated people that are comfortable with the investment. Naturally, this is not a guarantee that you'll be called, but we will let you know. I've reviewed the investment for this retreat and am able to cover it as well as my transportation.